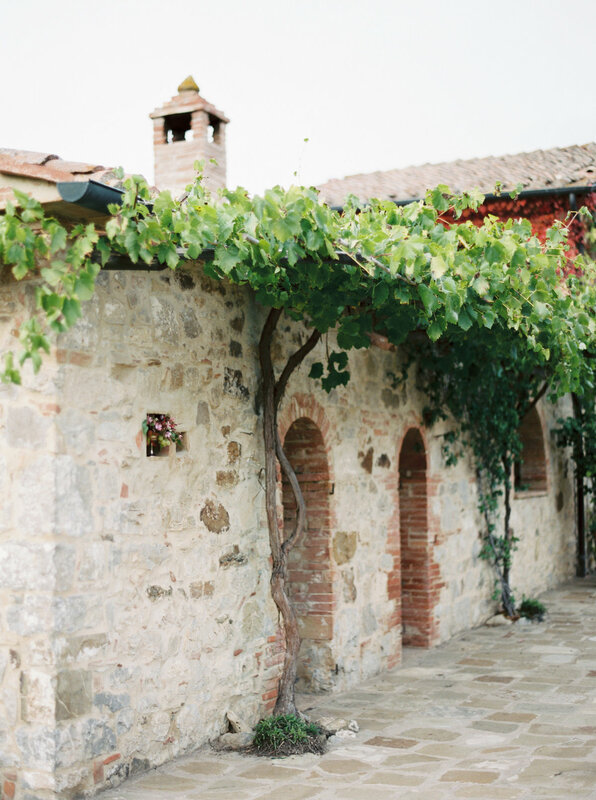 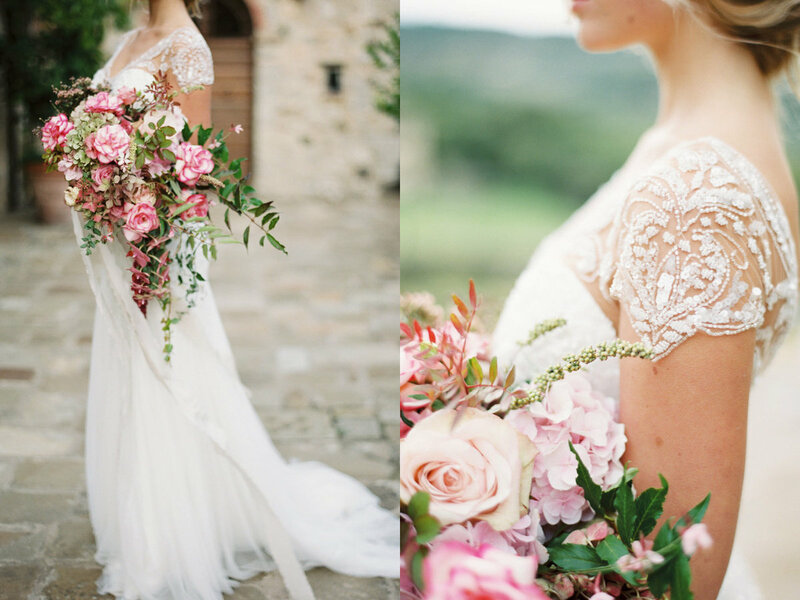 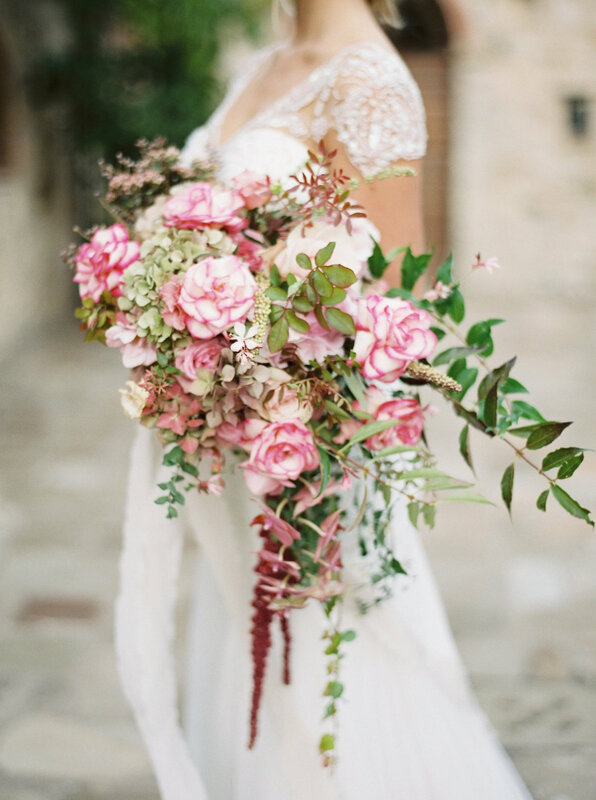 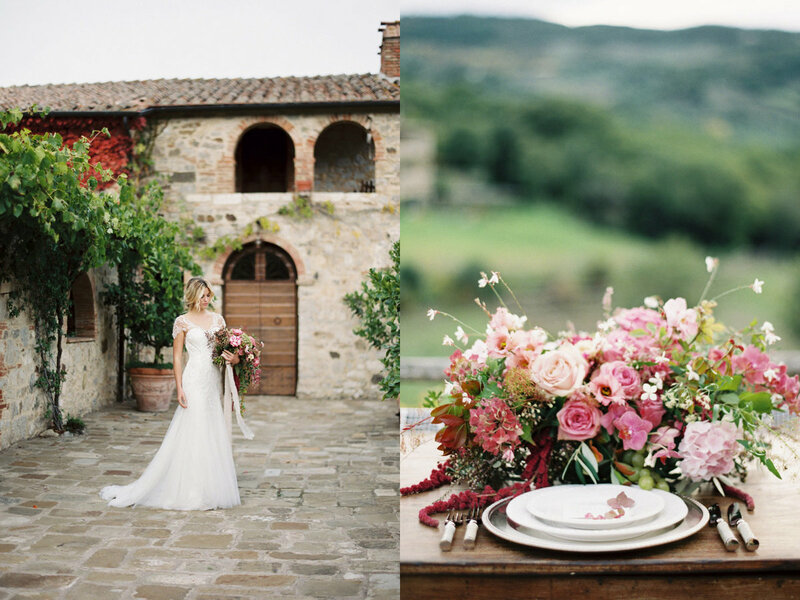 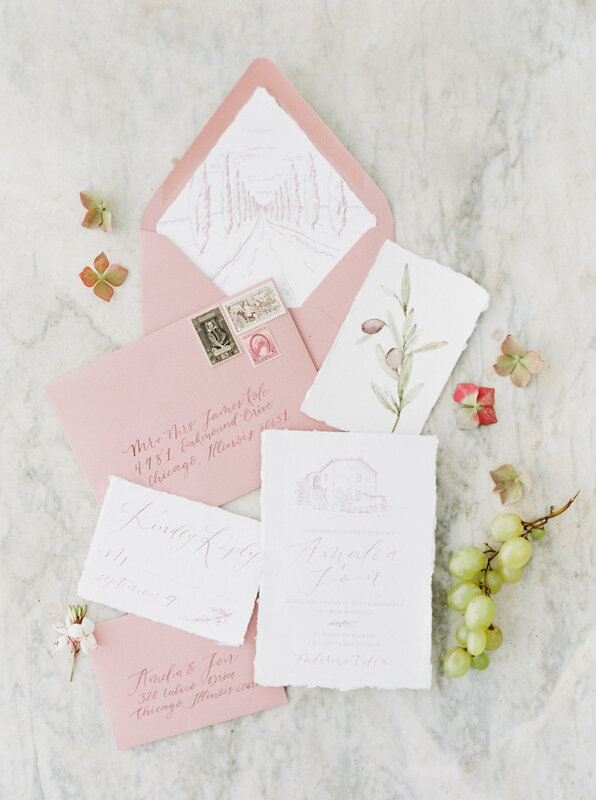 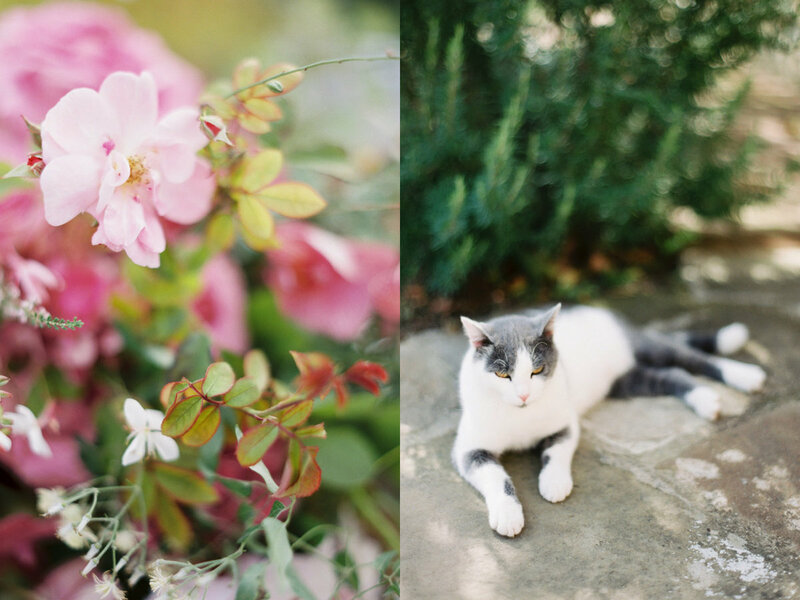 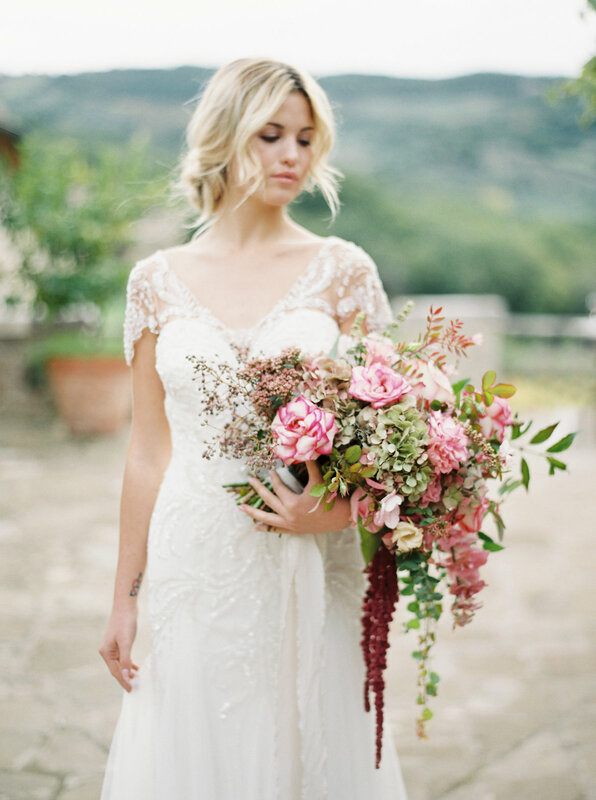 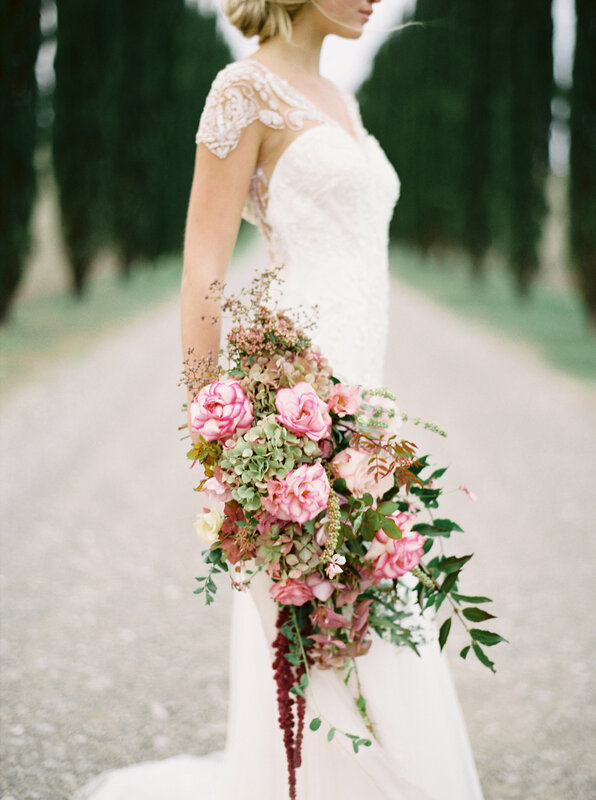 The Italian Villa set in the hills of Tuscany in Val d’Orcia was the perfect backdrop for a romantic fall elopement inspiration. 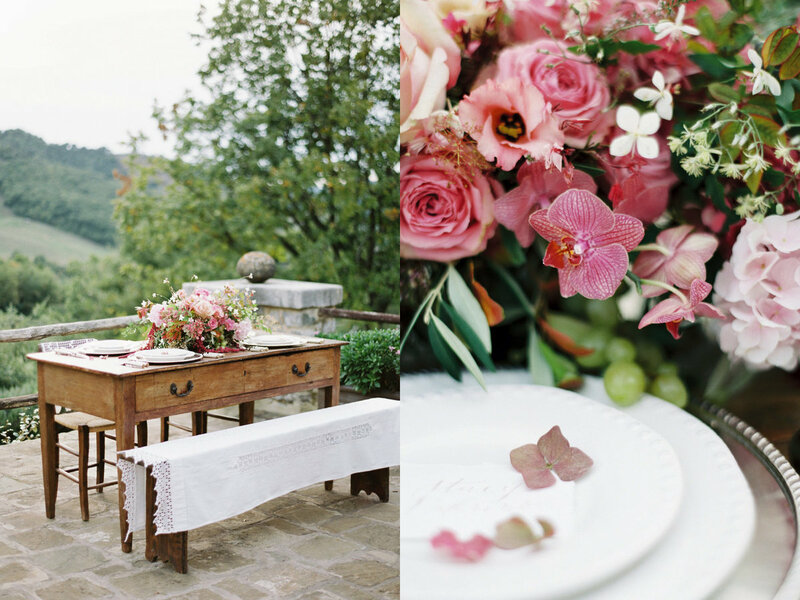 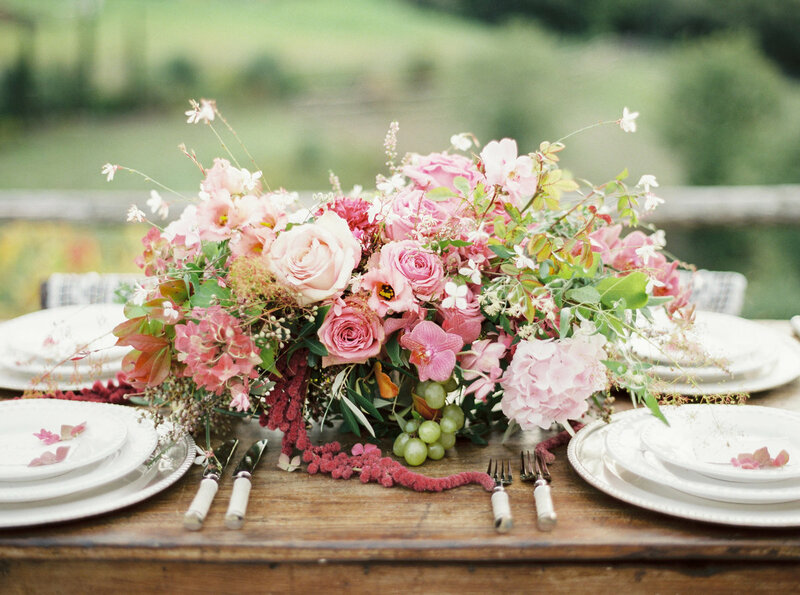 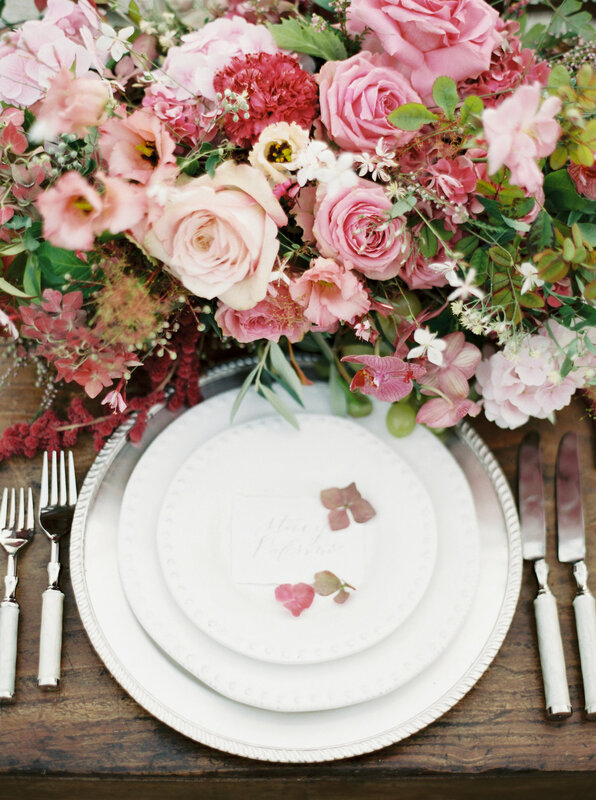 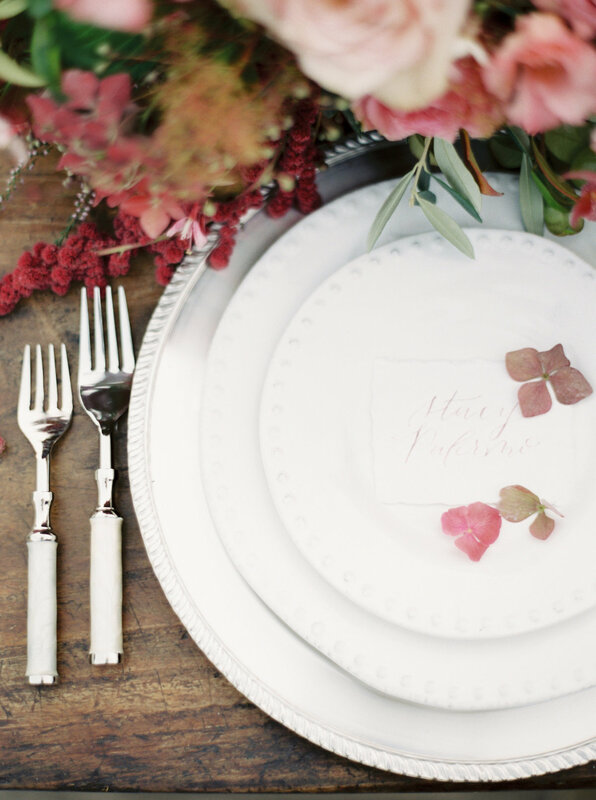 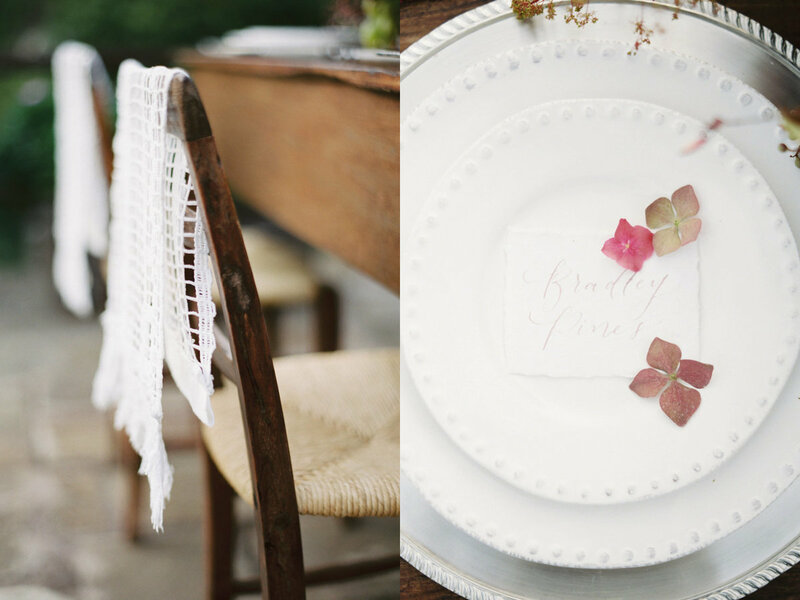 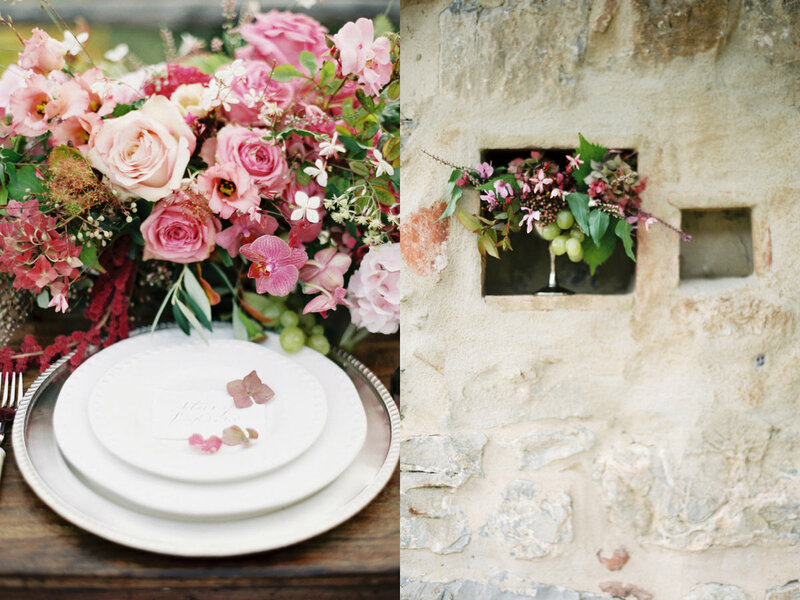 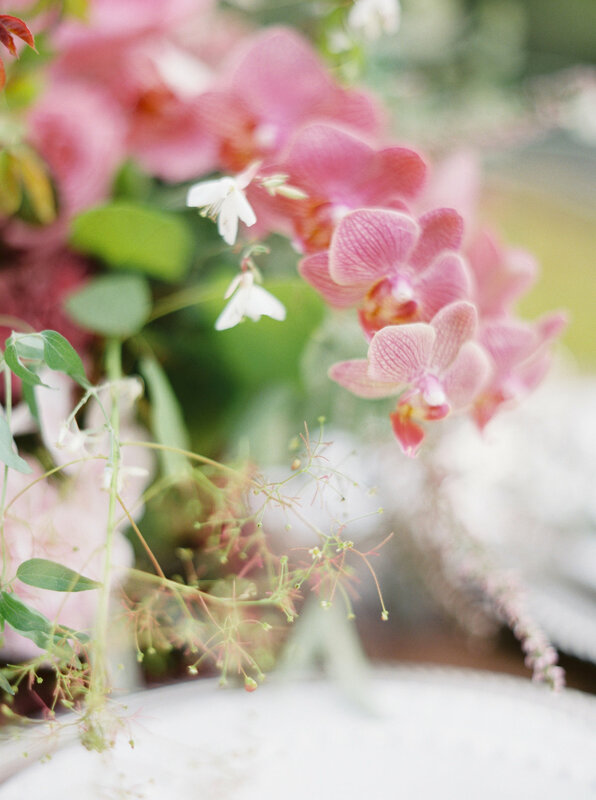 A small table was set on the stone patio with an antique farmhouse table and benches, adorned with pink and berry toned florals and botanicals. 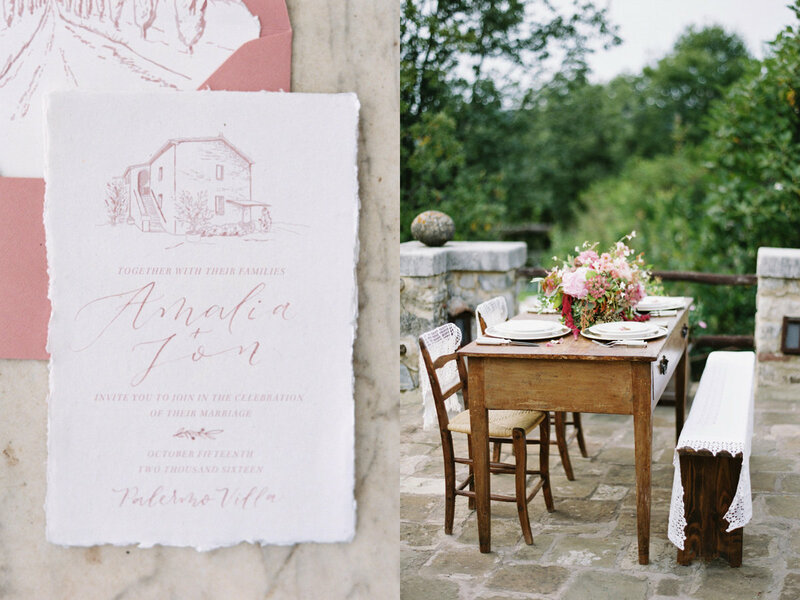 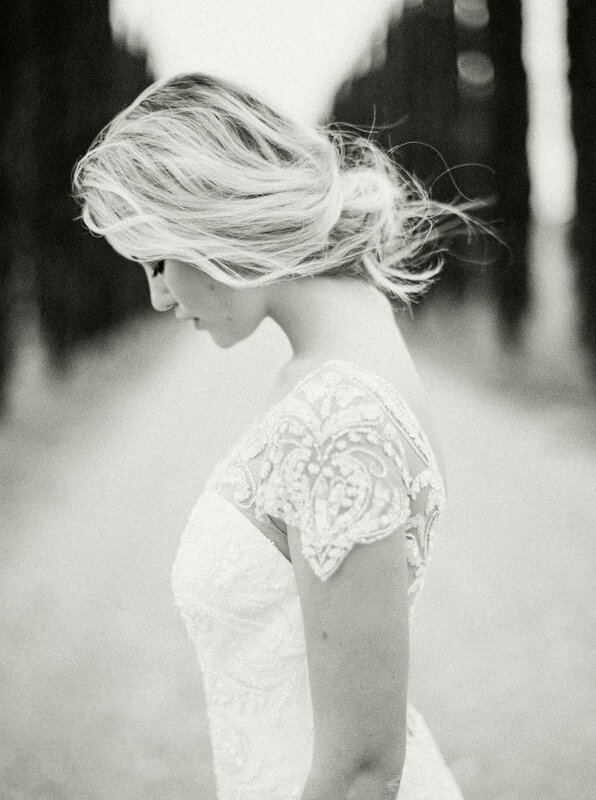 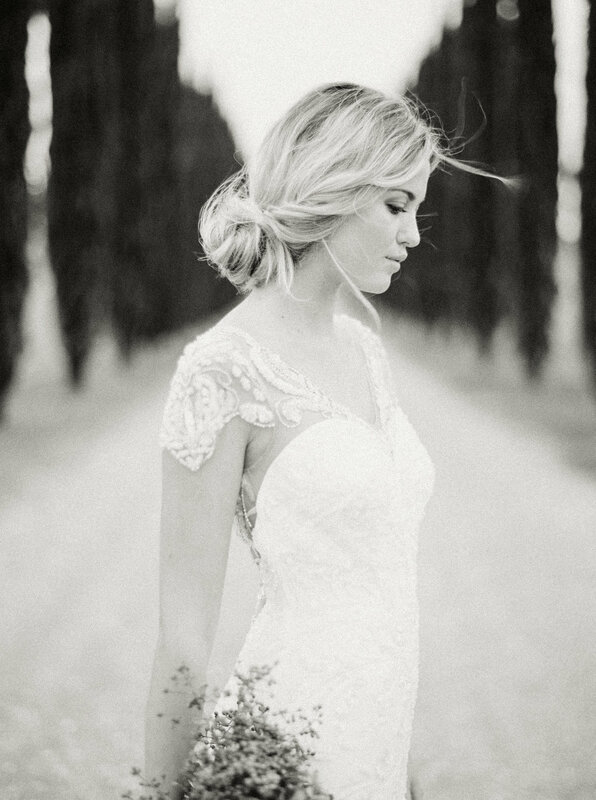 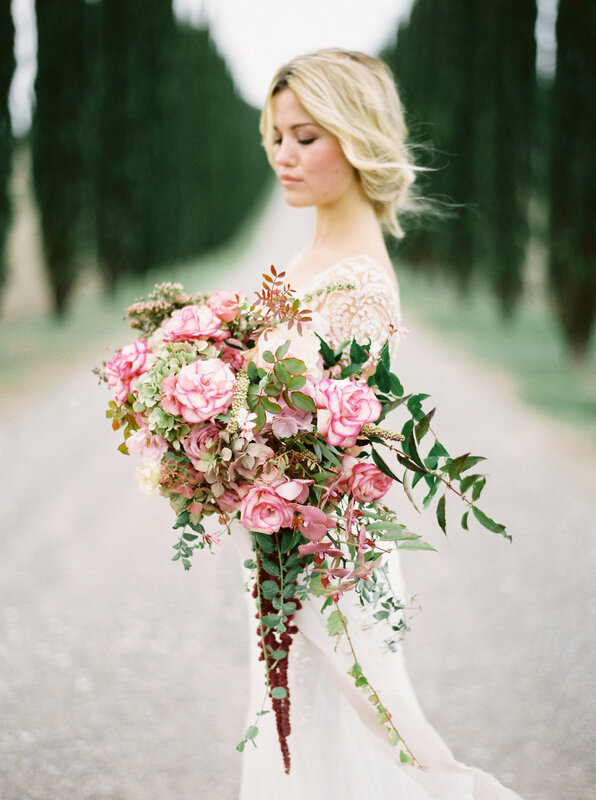 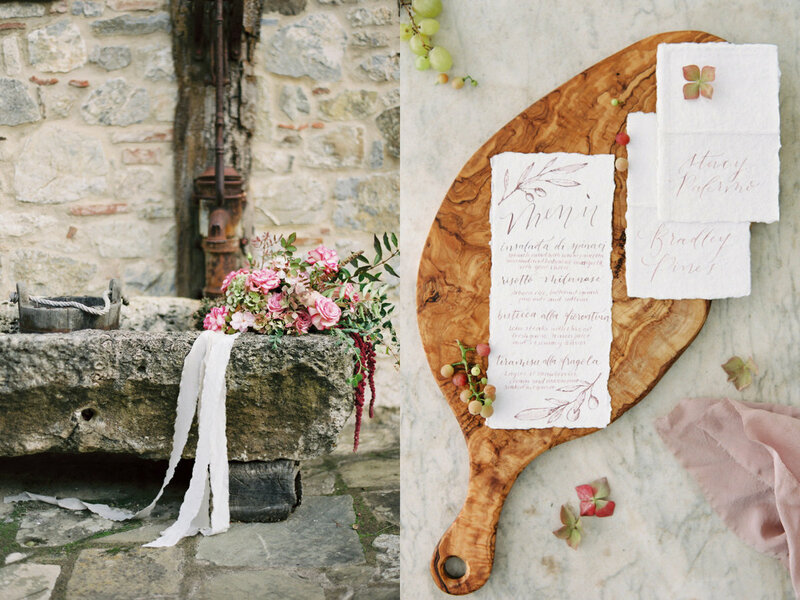 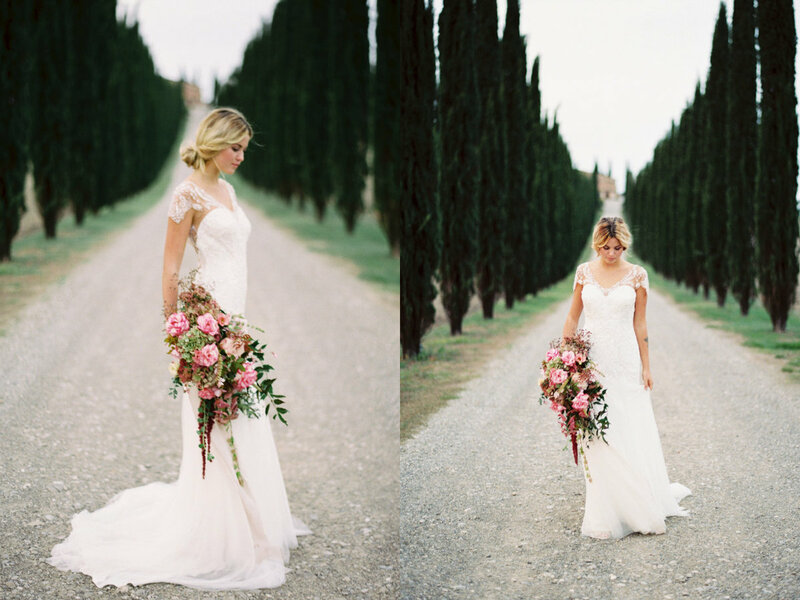 Paper details mimicked the local olive and cypress trees, tying together the quintessential Italian wedding picture.